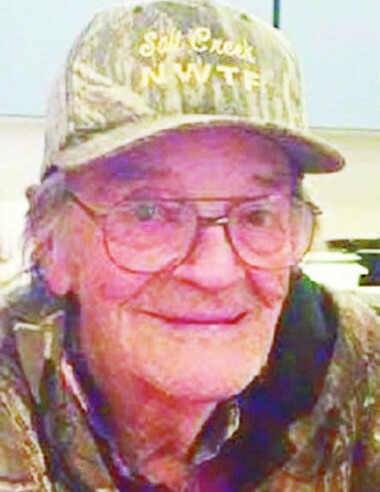 Eldon Leonard Belliston of Nephi, UT passed away on this 88th birthday, February 3, 2019, with his family by his side at Central Valley Medical Center. Eldon was born February 3, 1931 to Leonard Foster Belliston and Pearl Elizabeth Price Belliston in Nephi, UT. He was a member of the Church of Jesus Christ of Latter-day Saints. He graduated from Juab High School in 1951. He joined the United States Marine Corps in 1952 and was later honorably discharged. He married ZoAnn Allred, February 18, 1956 (he passed away 15 days short of being married 63 years). They raised six children together. He was a quiet man with a subtle sense of humor (King of the one liners) who kept his friends and family laughing. He enjoyed spending time with his coffee buddies. He was a great mechanic, working at the Silver Maple Texaco and later at Parkin Motor. He enjoyed hunting, fishing and camping with family. He loved raising farm and gardening. He grew the best tomatoes in town. He will be greatly missed. He is survived by his wife ZoAnn Allred Belliston of Nephi and 6 children: Elvon Belliston of Nephi, Kay (Billy) Crosby of Centerfield, Ellen (Creed) Crosby of Fountain Green, Alice (Mike) Stokes of Logan, Beth (George, deceased) Rollins of Castledale, and Karl (Rachael) Belliston of Nephi; 13 grandchildren, 25 (soon to be 26) great-grandchildren, 1 great-great-grandchild, many nieces and nephews and his best friend “Killer” the Chihuahua. He was preceded in death by his parents Leonard and Pearl, all of his siblings: Kenneth, Phillis, Erma, Lucille, Joyce and their spouses, one son-in-law George Rollins. Special thanks to the staff at CVMC for their loving care and Anderson Funeral Home for their compassion. As per his wishes, there will be no funeral or graveside services.